Removing an existing concrete slab is a lengthy, labor-intensive process. One alternative to removing old concrete is to pour a new layer over the existing slab. In addition to significantly reducing labor, this option saves money and resources, but you should also consider its disadvantages. If the new layer is properly poured, it will only be as stable and long-lasting as the older slab beneath it. Damaged concrete is a poor base for a new slab. Pouring a new layer of concrete over an existing walkway, patio or porch will raise the level by several inches. If the slab runs up to a door, the raised surface may not provide the necessary clearance for the door to open. For a walkway, raising the level by several inches can throw off its alignment with the driveway, steps or another structure. Adding a slight ramp from the driveway to the raised surface helps eliminate a trip hazard and keep debris from collecting in the corner. A well-poured concrete slab with a deep, sturdy foundation can last for 30 to 40 years. Pouring concrete over old concrete instead of directly over a new gravel foundation limits your ability to maximize the slab's lifespan. The condition of the existing slab is the primary factor that determines how long the new concrete will last. If the foundation beneath the slab is not sound, the new concrete could sink or develop deep potholes. If new concrete binds to the existing slab, cracks are inevitable. Keeping the new concrete from binding to the existing slab helps prevent new damage from forming and any damage in the old slab from spreading to the new one. It also allows both slabs the flexibility to shrink and expand when temperatures fluctuate. One straightforward method to prevent the slabs from bonding is to lay plastic, sand or another durable material between the two layers. While pavers, stones and other types of paving materials offer a more decorative look, concrete is valued for its strength and low maintenance. A slab poured over an existing slab is more vulnerable to frost heave damage and cracks. Patch damages as soon as they develop to prevent them from spreading, and seal the new layer with deep penetrating sealer to prevent water damage. 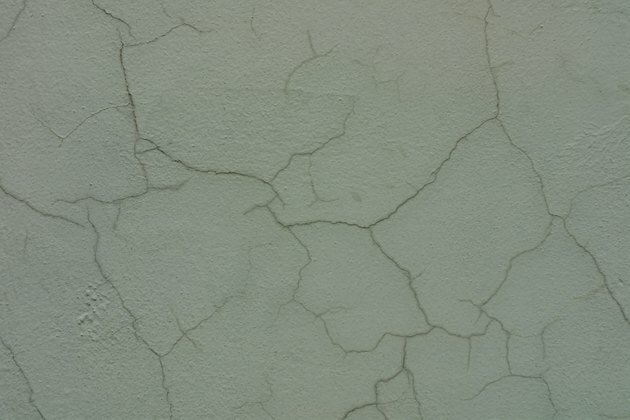 If you notice long, deep cracks, have a professional evaluate the damage to determine if there's a structural problem.